Enjoy this light weight full button up and support the Wisconsin Badgers! A small patch above the left chest pocket reads "Wisconsin". There are two pockets on both sides of the chest with buttons. The full button up has a collar. The sleeves roll up and stay secure with a button. White poke a dots are featured all over the shirt. This is the perfect top for fall. Go Badgers! This super comfortable polo features ¾ sleeves and a v-neck style. Bucky Badger is embroidered on the left chest making this shirt perfect for work or the game. The button collar and buttons on the sleeves are a shiny silver for a fun look. The fabric has soft and stretchy feel. This classic polo will show off your Wisconsin Badgers spirit at work or the game! The red cotton pique material featured an embroidered Bucky Badger on the left chest. This shirt is perfect for work or the game! The red button down shirt features a standing collar, ¾ sleeves, and a v-neck placket making it fashionable for all ages! 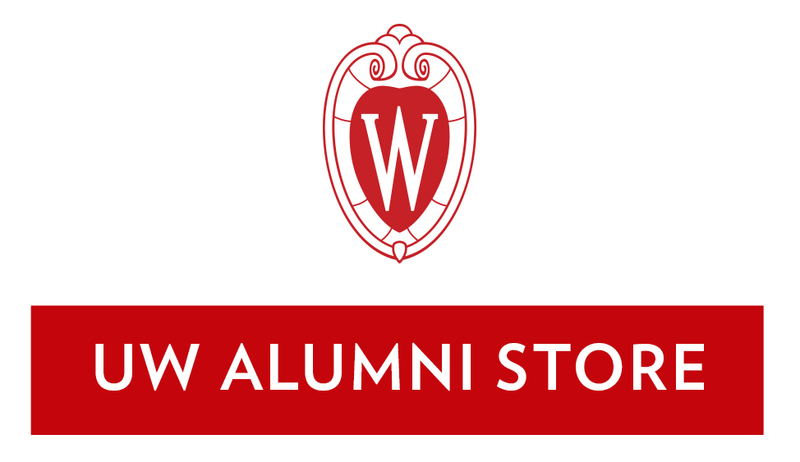 Detailed with white stripes and "Wisconsin Alumni" embroidered around the shield W is ideal for any grad. The fabric has all of the comfort of cotton with the aspects of an activewear piece so they will keep you cool and comfortable. The buttons are a shiny silver for just the right amount of sparkle. This striped Badger top features a flattering angled hem for a feminine touch. It features an embroidered Bucky Badger on the left chest and a "V" detail along the neckline. It's the perfect tee for dressing up a game day look or showing your Wisconsin spirit! This flattering button-up features your favorite team colors in a fun plaid pattern. There is an embroidered Motion W on the left chest and a "V" detail along the neckline. This top is perfect for alumni who want to show off their Wisconsin spirit, or you can dress it down for a casual game day look! This striped Badger top features a flattering angled hem for a feminine touch. There is an embroidered Bucky Badger on the left chest and a "V" detail along the neckline. It's the perfect top for dressing up a game day look or showing off your Wisconsin spirit!